Cross Counter has strengthened his Melbourne Cup claims with a Group Three victory at Goodwood. 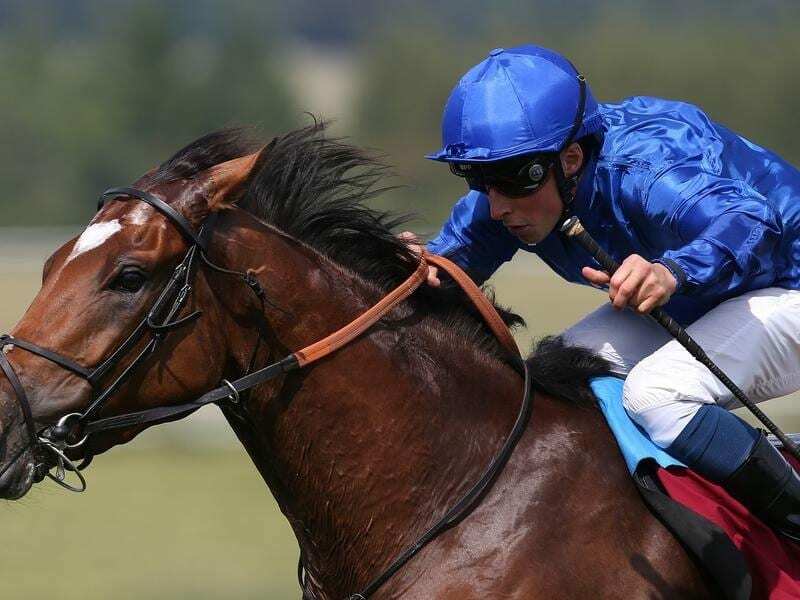 Godolphin’s Cross Counter could be bound for the Melbourne Cup after putting up a ruthless display of controlled front-running in the Gordon Stakes at Goodwood. Stepping up in class in the Group Three contest, the Charlie Appleby-trained runner was sent off a 7-4 chance in the hands of William Buick. The gelding always looked in control, coming home 4-1/2 lengths clear of favourite Dee Ex Bee in a course record for the near 12-furlongs (2400m) of 2min31.39sec. “He is a horse that had a lovely, progressive profile going into the race,” Appleby said. “We were confident we would put a race up to Dee Ex Bee. “On the back of that, our long-term agenda was to take him to Australia for the Melbourne Cup.